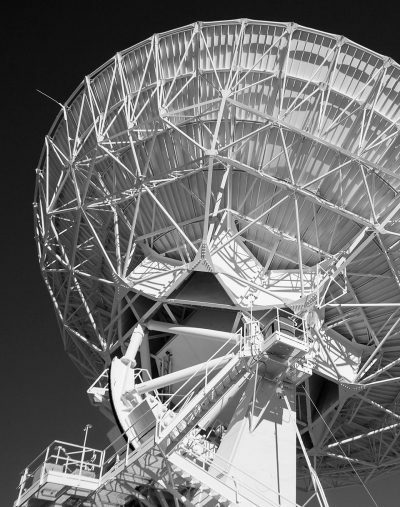 The Frontier Is An Albuquerque Treasure. 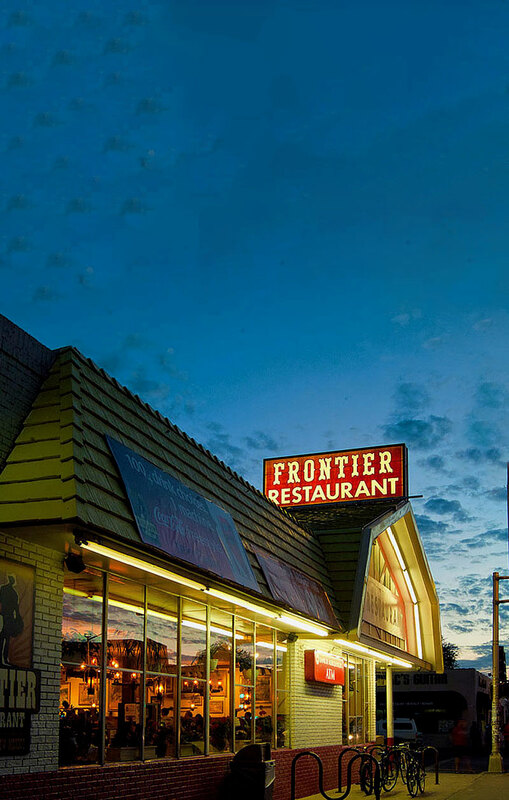 The Frontier Restaurant is a true Albuquerque icon, located across from the University of New Mexico’s main campus on Central Avenue (the old Route 66). 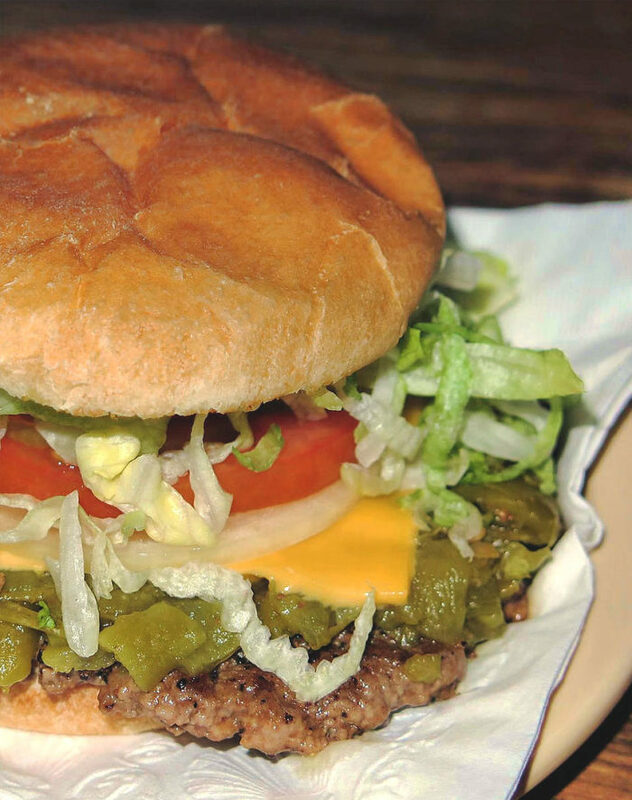 The food can best be described as New Mexico diner style food with a Texas accent. 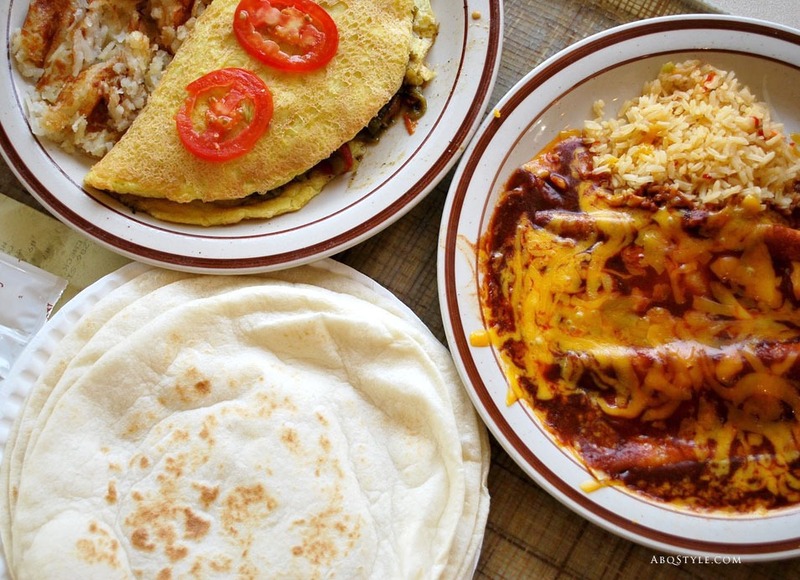 The menu offers a wide selection of New Mexico meals (the breakfast burritos are my personal favorite) that are filling, tasty, and light on the budget. Whatever you order, from the chicken enchilada plate, the carne adovada, to the green chile cheeseburger (all quite good) can be smothered with a ladle full of red chile stew always ready to serve in hot self-serve pots. Of course, everyone has a weakness for the famous Frontier sweet rolls, which are featured in the video below. Whenever I have out-of-state friends visit, this is the first restaurant I take them to. 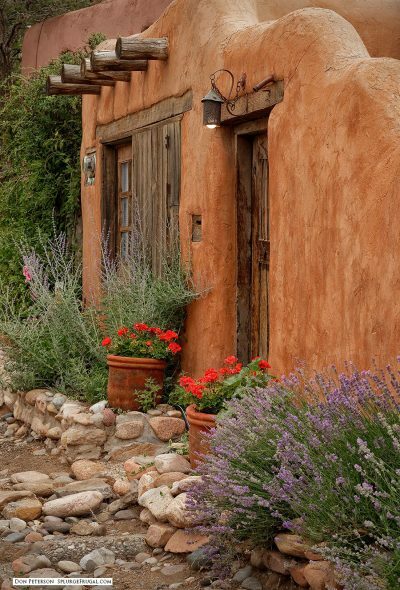 It is a great introduction to New Mexican cuisine that is easy on virgin taste-buds. Also, The Frontier offers an authentic slice-of-life view of the people and culture of Albuquerque. Amid its New Mexican art covered walls and John Wayne portraits you see a true cross-section of Albuquerque culture in the people that dine here. Open from 5AM to 1AM every day (with the exception of a couple of holidays), this is one of the few places in town to get a late night meal after about 10PM or so. The Frontier has convenient parking in the rear of the restaurant, and typically becomes quite busy during meal times. Don’t let the long lines scare you as they move quickly, and there are plenty of tables. The Frontier is like a solid old New Mexico pick-up truck. It has loads of charm, ages well, and never lets you down. 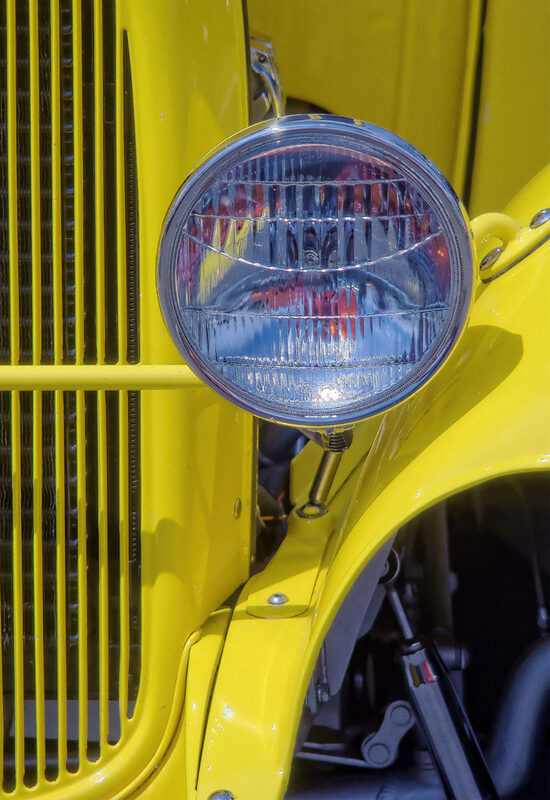 It may not be the newest or the absolute best by any technical standard, but it is familiar, comfortable and reliable. First time in Albuquerque? 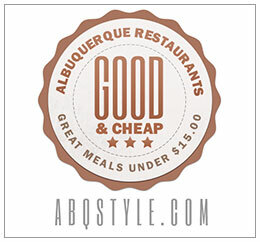 I can’t think of any other ABQ restaurant that is both a place to chow down and sample the pulse of Albuquerque. 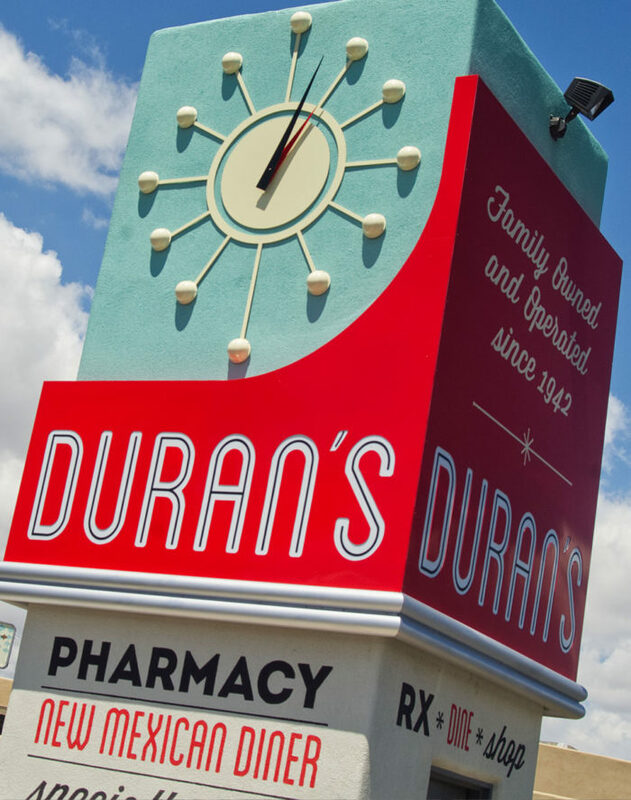 No other local eatery has such a wide swath of local culture walking through its doors every day. That’s a testament to the high quality of the food. At the same time, it is the perfect way to ease the inexperienced into the ways of New Mexican cuisine. Breakfast burritos slathered with heaps of green chile stew self-served from a steaming wide-mouthed cast-iron kettle is the perfect way to greet an Albuquerque morning. 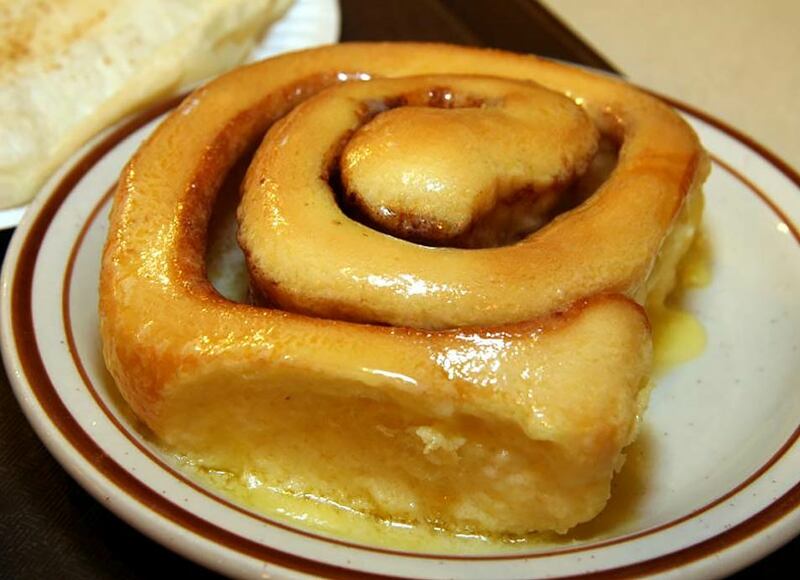 Order a cup of joe and a legendary sweet roll on the side. 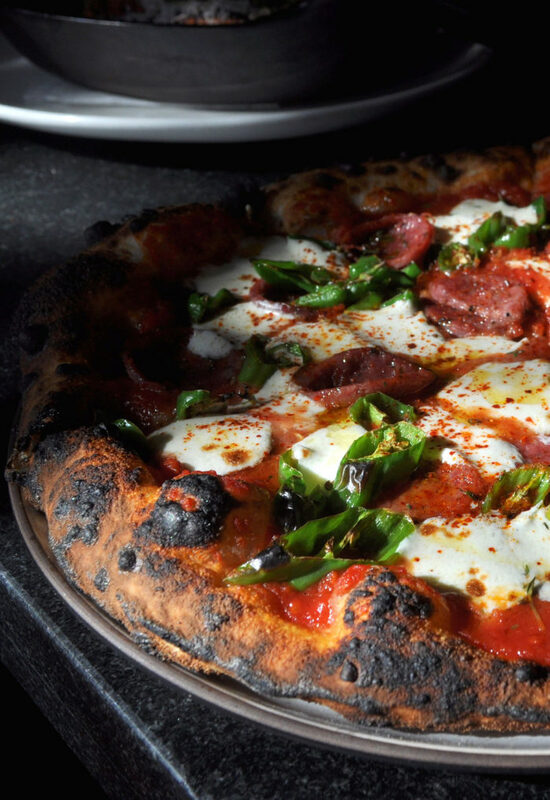 Grab a table, and enjoy the slice of life that unfolds before you. The Frontier will take good care of you.